As the year draws to a close, it gets more and more difficult to find things to do in El Paso. Whether you’re having family over for the holiday season or you’d simply like for your children to get out of the house during their break, Bob-O’s Family Fun Center can help. But let’s face it, with the shorter and colder days, is there anything worthwhile to do in El Paso? As far as activities go, it may seem difficult to simply come up with an option that isn’t boring or repetitive. One of the most common go-to family activities it going to the movies. But how can you decide on a movie for the entire family? Sitting and watching a film for an hour and a half is not an optimal way to spend time together. Maybe after the movie is over, you can discuss what you just watched but will that really lead to any substantial memories? Instead, you can bring your family to Bob-O’s Family Fun Center! 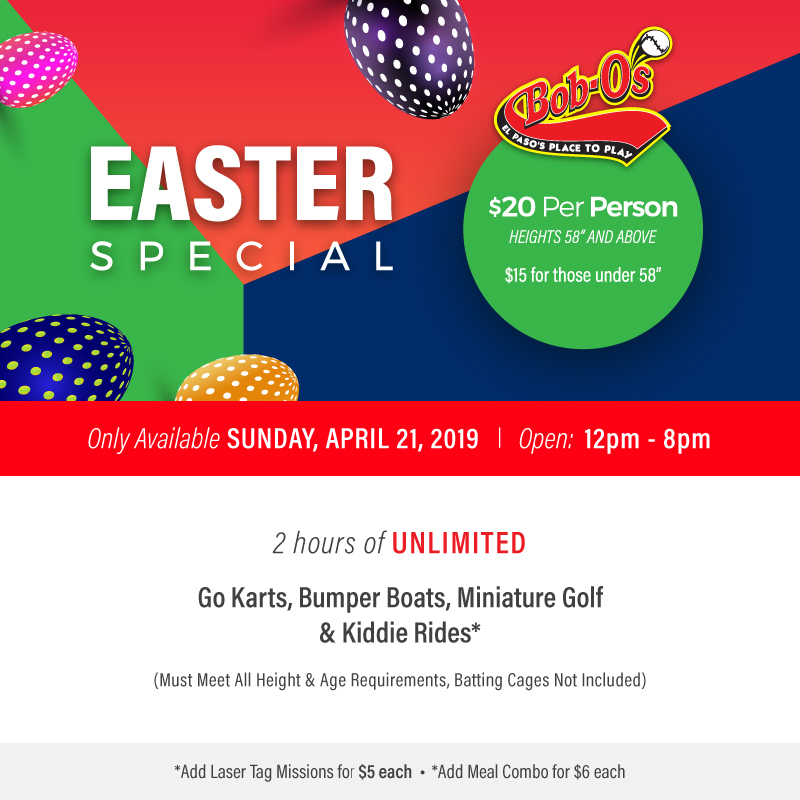 We know what you’re thinking, “isn’t Bob-O’s mostly just go-karts, batting cages, and bumper boats?” These options are all outdoors so they might not be apt for the wintertime. But there’s no need to fret! Our indoor activities will provide fun for the entire family. Continue reading to learn more about our options! Laser Odyssey is the only full-fledged laser tag arena in the El Paso area. Instead of going to the movies to watch this month’s newest sci-fi romp, why not put yourself and your family in the middle of the action? 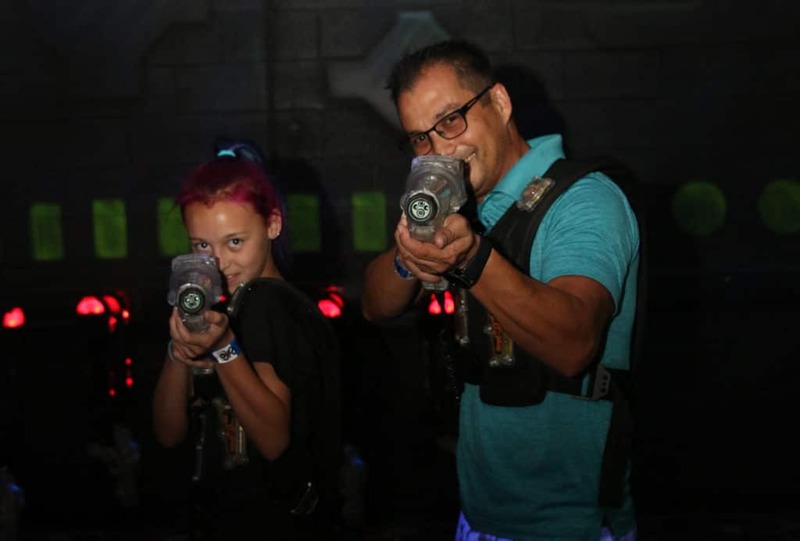 Laser tag is great for people of all ages and our arena is specifically designed for maximum immersion and fun! You could compete against each other or form a team to see how well you fare against other teams. Just imagine the memories you’ll create in our laser tag arena! Perhaps you’re not too keen on laser tag, and we completely understand! No need to fret, however. Our arcade is chock-full of the best games and our prize center is constantly stocked with incredible choices. See who can get the most tickets and then cash in for a great prize! Bob-O’s Family Fun Center is Here for You! If you’re ready to have unbridled fun with your family this holiday season, visit Bob-O’s Family Fun Center! Take a look at our specials or call us today to learn more about what we have to offer. « Race Friends and Family at our Go-Kart Track!